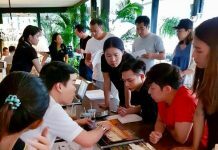 On a roll in the Pattaya area, Porchland Group has launched another popular condominium project, this time aimed at high-end buyers in Naklua. CEO Chisanucha Phakdeesaneha on Oct. 8 officially announced the Prim Grand Condominium, a low-rise boutique residence with only 64 units in Wong Amat Beach near the Sanctuary of Truth. 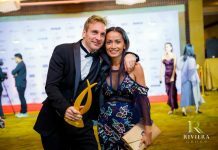 He said Porchland has seen strong response to its first six Eastern Seaboard projects and aimed its newest development at luxury buyers looking for a peaceful environment on Naklua Soi 112 near the Zign Hotel. 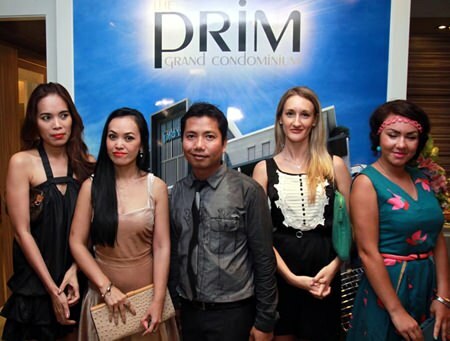 Porchland Group CEO, Chisanucha Phakdeesaneha (center), poses with guests at the launch of the Prim Grand Condominium on Oct. 8. 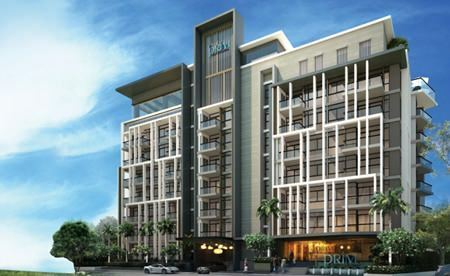 The Prim Grand Condominium will rise eight stories with prices starting at 2.2 million baht fully furnished. Chisanucha said half of the units have already been reserved. For more information call 082-403-1999 or visit www.ThePrimPattaya.com. The Prim staff, all ready to answer questions and take orders from prospective customers. 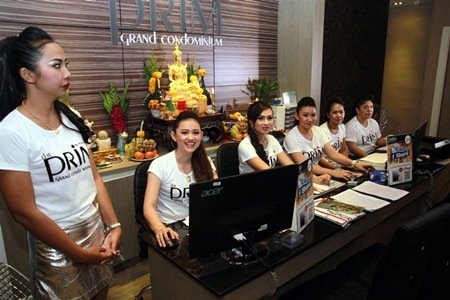 Prim Grand Condominium will offer 64 fully furnished units on a prime spot in north Pattaya.